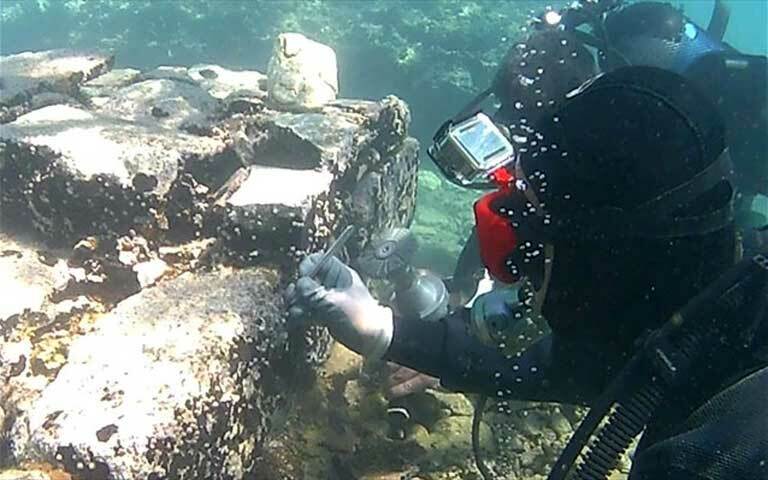 On the 3rd-4th of July 2017, theoretical courses have taken place in the Italian Archaeological School at Athens about methods for in situ conservation of underwater archaeological buildings, dealing with problems of biocorrosion and deconstruction as well as the documentation, recovery and conservation of Marine Cultural Heritage (BLUEMED Project). Prior to that a Cooperation Protocol for the pilot educational program “Workshop In situ conservation of underwater archaeological sites: methods and case studies – Athens and Epidavros, 3-7 July 2017” had been signed between the Ephorate of Underwater Antiquities and the Direttore del Nucleo per gli Interventi di Archeologia Subacquea in Rome. The aim of the program was the conservation of a limited part of the sunken Roman villa of ancient Epidavros. 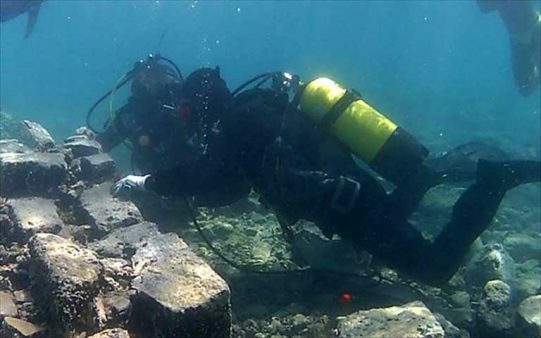 The pilot educational program was supervised by the director of the Ephorate of Underwater Antiquities Dr Aggeliki G. Simosi, while underwater archaeologist of the Ephorate Dr P. Galiatsatou was responsible for the on-site coordination. 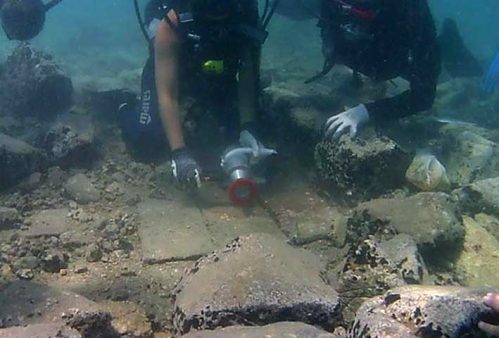 As for the Italian side, the activities were coordinated by the underwater archaeologist Dr Barbara Davidde, director of the Nucleo per gli Interventi di Archeologia Subacquea of ISCR. First of all a theoretical training program has been conducted regarding electric tools of conservation by the Italian team, followed by a diving expedition in order to apply these methods. Practical work took place on 5-7 July 2017 at the marine archaeological site of the “Sunken City” in Palaia Epidavros. 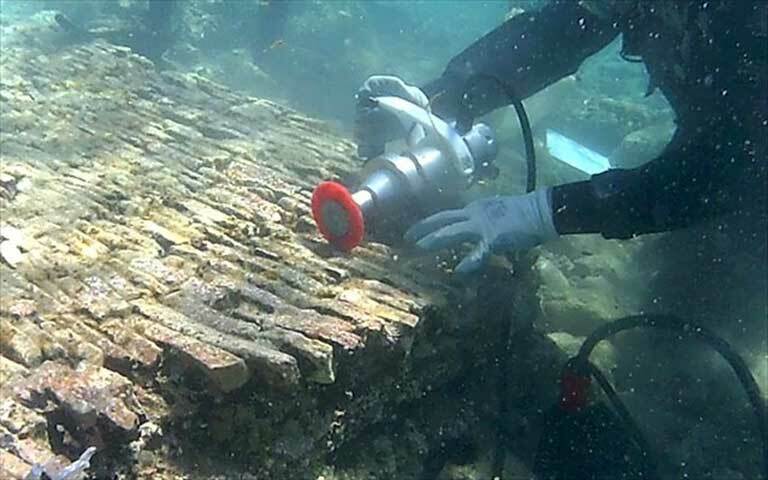 The program was conducted in the framework of BLUMED, a pioneering European project, in which the Ephorate of Underwater Antiquities took part for the first time, along with other countries of the Mediterranean, such as Cyprus, Croatia, Italy and Spain. Throughout the activities, a marine biologist of the Italian team participated and studied the marine organisms that cause damage to underwater antiquities.